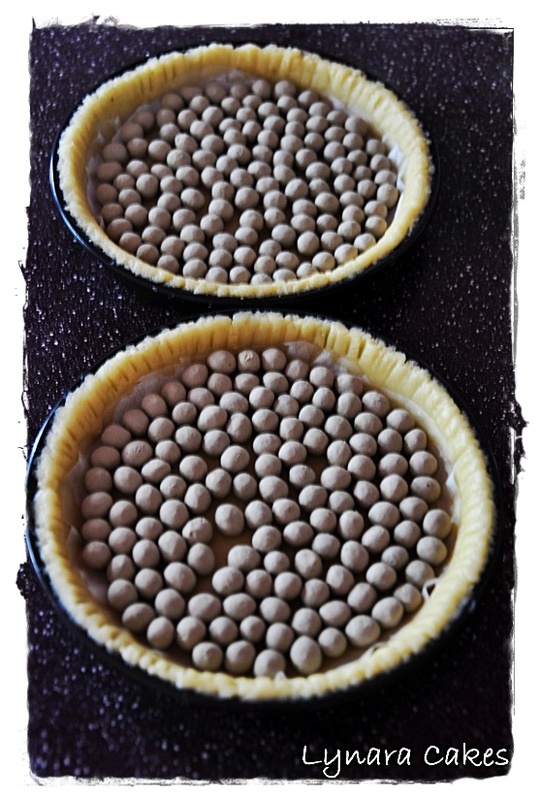 This is the Tart Pastry before bake....with ceramic beans for even surface. 1. Mix ingredients A till crumbly. Add in ingredients B, mix to form dough. 2. Shape it into ball and press it flat. Wrap it up with plastic and chill it in refrigerate for 30 minutes. 3 Press pastry into tart mould. Prick some holes in it and put some ceramics beans over greaseproof paper. Rest for 20 min. Bake in preheated oven at 180 C for 20 to 25 min. 1. Pour A into pot. Cook over medium low heat for 10 min until the apples softens. Divide into equal portions and place A into baked tarts. 2. 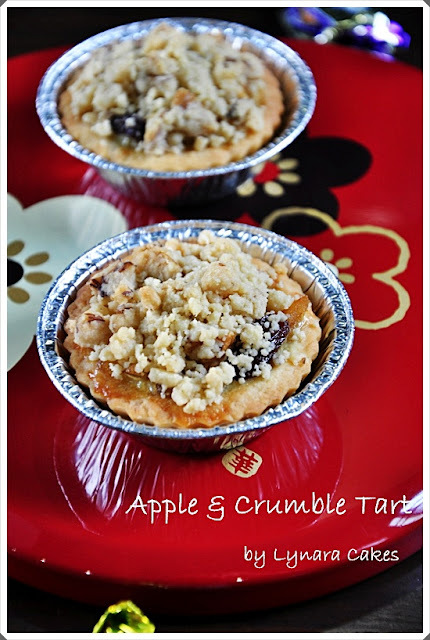 Mix B until well combined and filter it, divide into equal portions, pour it onto apple tarts. bake in preheated oven at 180 C for 8 to 10 min until half cooked. Mix all ingredients untill fluffy. 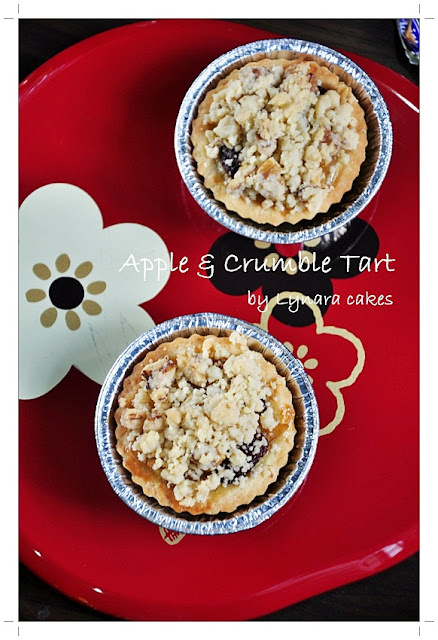 Sprinkle it onto half-baked tarts. bake in preheated oven again at 180 C for 10 to 15 minutes.